One pan dish that packs everything in. 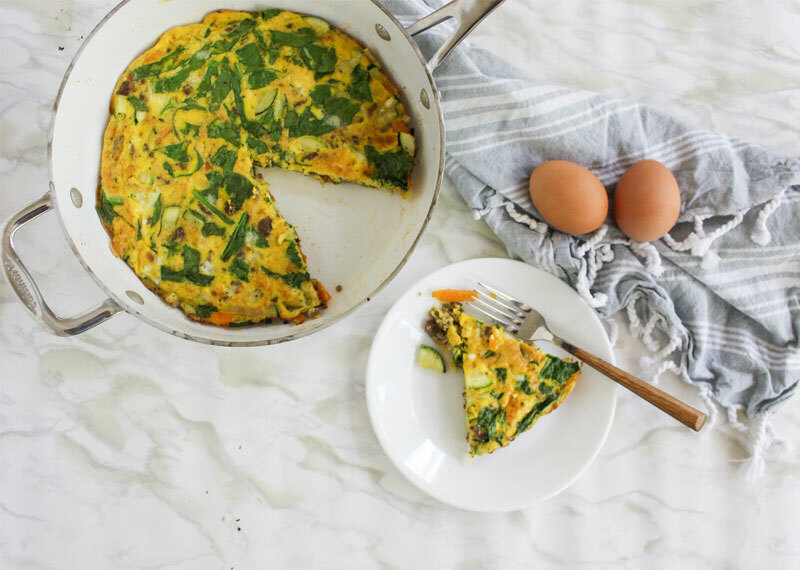 This frittata is loaded with veggies, great to use up what's’ left in the fridge. The ground beef adds in a nice texture and another layer of flavor. 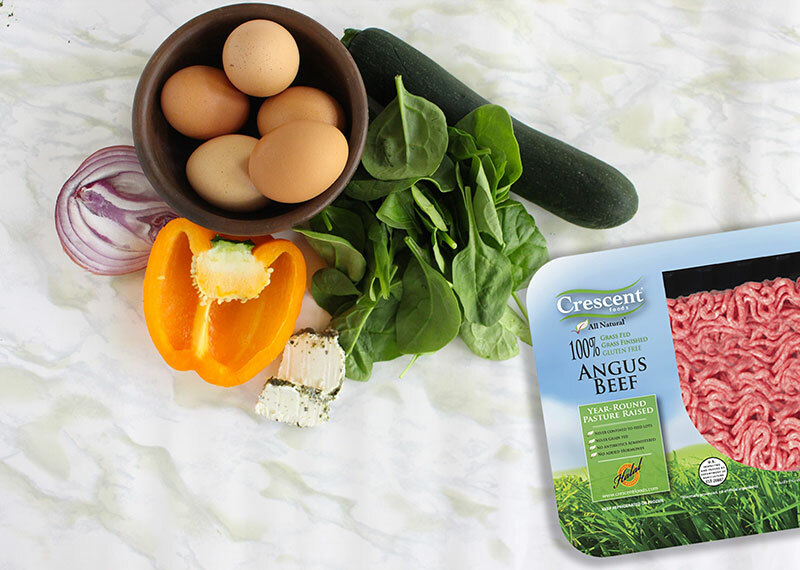 Make this for a big family breakfast or even a quick dinner, it’s easy and gets you a nutritious meal in minutes. salt and pepper. Cook thoroughly till meat is cooked through. Set aside to cool. 3. Place oil in a large skillet and heat to medium heat. Add in onions, zucchini and peppers. Cook vegetables for 2-3 minutes till they get a little soft, season with salt and pepper. and allow eggs to set. the oven on broil for 1-2 minutes, until the top gets a nice light golden brown colour. 6. Let frittata cool and Enjoy!